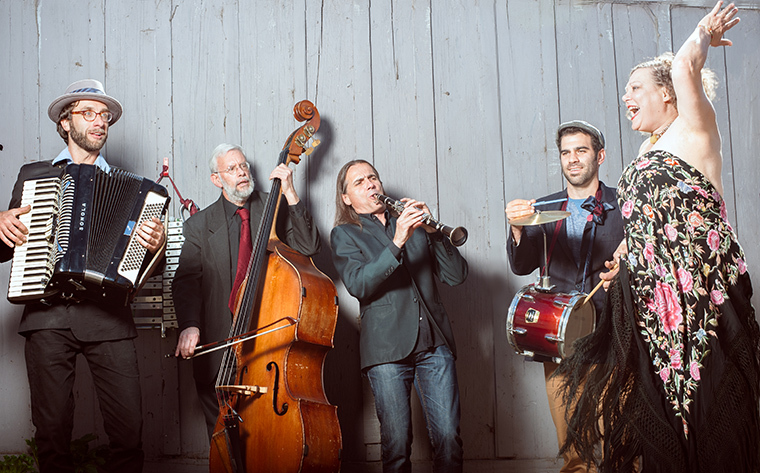 The second annual Jewish Music Series at Sonoma State University features artists hailing from New York City to the Bay Area, including trumpeter Frank London (cofounder of the Klezmatics) and virtuoso clarinetist Ben Goldberg with his Invisible Guy trio. All six concerts are free, taking place on Thursday evenings in Schroeder Hall at the University's Green Music Center. The series is part of the course Survey of Jewish Musics led by Joshua Horowitz, director of the ensemble Budowitz. Horowitz, who plays chromatic button accordion, cimbalom and piano, is a founding member of Veretski Pass and has performed and recorded with Itzhak Perlman, the Vienna Chamber Orchestra, Theodore Bikel, Ben Goldberg, Rubin and Horowitz, Brave Old World, Adrienne Cooper and Ruth Yaakov. Admission is free, performances begin at 6:30 p.m. in Schroeder Hall unless otherwise noted. The series is jointly presented by the Department of Music and the Jewish Studies Program. For more information, call 664-2324 or visit Sonoma.edu/music. Members of the Navarro Trio, Sonoma State University's chamber ensemble-in-residence, come together with two instrumental studio faculty for an afternoon of music for piano, flute, clarinet and cello in Schroeder Hall at the Green Music Center, October 23, 2 p.m.